For over twenty years I have served a number of markets with professional photography of everything from food, to people, to products, to animals. I’ve worked with large teams and I’ve worked on my own, with budgets ranging from three to six figures, for advertising, editorial and corporate clients ranging from private individuals to small companies, to large corporations including municipal and provincial government departments. In the last decade, I began to develop a niche photographing executives and other business people who, nine times out of ten, do not enjoy being photographed (even dread it), often think they are unphotogenic, and don’t have a lot of time to spare. I think the reason I’ve had such success in this area is that I really care about getting the best results possible and I am sensitive to clients' perception of the whole experience. If you are a designer, art director, or corporate communications professional please call or e-mail me to discuss your needs and request an estimate. If you are less familiar with working with a professional photographer, I hope the following will help. 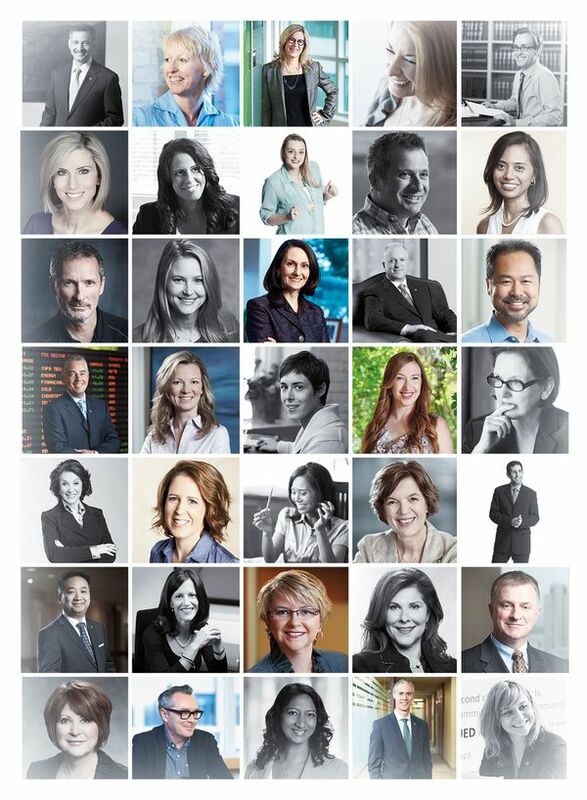 Who is a corporate portraiture client? No matter who you are, in this day and age, chances are you are represented online by one or more photos of yourself. If not, then why not? Is it just me asking this, or is this what viewers of your online profile are asking? Are you sensitive about your appearance? Do you feel that nobody should be concerning themselves with, or judging you by your appearance? Is it a privacy issue? Have you just not got around to uploading a picture, don't have a good enough one, don’t think getting a professional photo is worth it, don't have time, or you've been meaning to do a selfie or get a friend to do a few snaps which will be good enough? Or, maybe last time you had a picture taken you hated it so you're not doing that again? Or truthfully, you just think it doesn't really matter? If you do have a picture (or pictures) out there what does it (they) say about you? Does your photo suggest that you are professional, confident and approachable? Or does it suggest that there was one fluke moment, when you were on holiday somewhere warm and fun that someone happened to catch a snapshot of you looking relaxed and carefree and reasonably (or fabulously) attractive, so you used that because you can't imagine ever looking that good in a formal portrait? In a world where photography has increasingly become commoditized, there are any number of "professional photographers" out there competing to sell you a photo. There's an old joke: How many photographers does it take to change a light bulb? Answer: one hundred. One to actually do it and ninety-nine to say "Well I could have done that." These days that's probably more true than ever before, technology being what it is (including inexpensive cameras and Photoshop), but I'd assert that it is the photographer who really makes the photo. The best camera in the world will not make a bad photo good. Photoshop can’t fix everything. If it helps to compare buying a portrait to buying a thing, think of it like a pair of shoes or a suit, something that has to look good, is going to last long time, and is going to play a big role in creating people's all important first impression of you. 1) There are many ways to light a portrait, which result in many different looks and feels to the resulting image. The key point is, though, that lighting matters, probably more than anything else. As far as the rest of the photographer’s tools, it is not necessary or appropriate to discuss them here in detail, but hopefully your photographer not only uses reliable, high quality gear, but has backups in case of problems, as well as a kit that provides her with the flexibility to deal with the challenges that come up in location (non-studio) shooting situations. 2) Posing matters. You don't want a dated and over-posed look, but it is the photographer's job to position you so that you look really good. A bad pose can result in wrinkled clothing, double chins and various other unaesthetic distractions. It is also the photographer's job to elicit the perfect expression from the client, and a photographer who knows what he/she is doing will do so no matter how unlikely the client thinks it is that that will happen. And let's not forget the composition, including the background. Do we need or want to see the subject's whole body, or even half the body, or is a head and shoulders portrait going to work best? Is a conservative gray background, for example, going to support the solid, established, professional and conservative nature and reputation of your organization, as well as provide consistency from portrait to portrait within the company, or will environmental/in situ portraits better suit the more casual and warm nature of your company? The photographer needs to be able to advise, and to shoot equally well either way. 3) Do you need retouching? For any final use of a digital portrait file that requires a high resolution image we will politely insist upon retouching, because a high res unretouched portrait will not serve the client, or our reputation. Retouching is another area where experience and skill matter. It is incredibly easy to overdo. Subtlety is key. We are experienced and versatile, can be very flexible, and can offer you guidance if you’re not sure what you want or need, whether you are arranging portraits for your clients, your colleagues, or for yourself -- from multiple consecutive mini-portrait sessions for individuals in corporate teams, to premium full length executive portrait sessions, including Hair and Make-up upon request, in studio or on location (eg. corporate office, home office or anywhere else that’s appropriate), from simple head and shoulders against a photographer’s fabric background, to more complex environmental portraits, from one single final finished portrait, to multiple lifestyle, ‘personal branding’ images (and if I come to you, I can even look in your closet with you and help you choose the right wardrobe). There is, of course, more to corporate photography than portraits. The same reasons for making sure a corporate portrait is an excellent representation of the subject apply to all the photography employed in a company’s communications -- websites, annual reports, corporate responsibility reports, etc. Please note: In addition to the images on my website, a larger portfolio of corporate portraits is available (in PDF format) upon request.